The Elder Scrolls V: Skyrim gives players a great deal of freedom to pursue any number of paths, but there's one particular art that's denied them. Commenter Greg the Mad brings this pressing issue to light in today's Speak Up on Kotaku. So, I've been on to this for a day now, but failed till now. 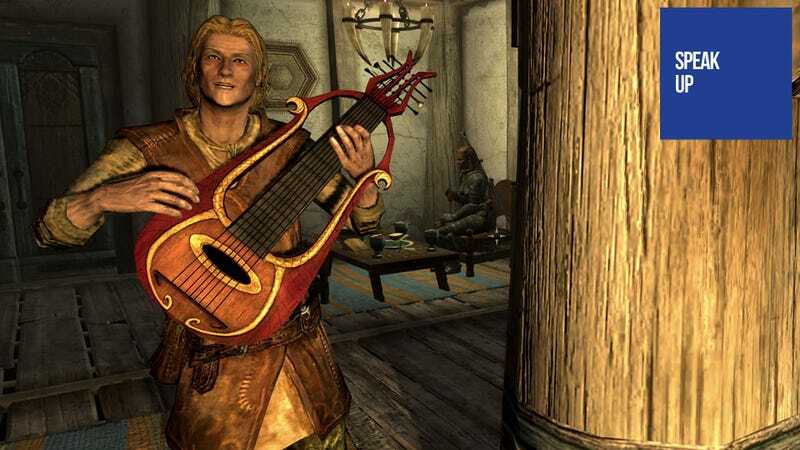 Did any of you manage to play the flute (lute/drum) in Skyrim? I mean you can use the mill, but not play flute on your travels? I've been to the bards college and made the quests that I've found, but still I can't play it. If you really can't play it, than this needs to be patched!